Shahid Kapoor is an Indian actor loved by Indian movie lovers all over the globe. His songs and music videos produce an impact on anyone: they are full of bright emotions and genuine passion. The future star was born in Delhi, India, on February 25, 1981. 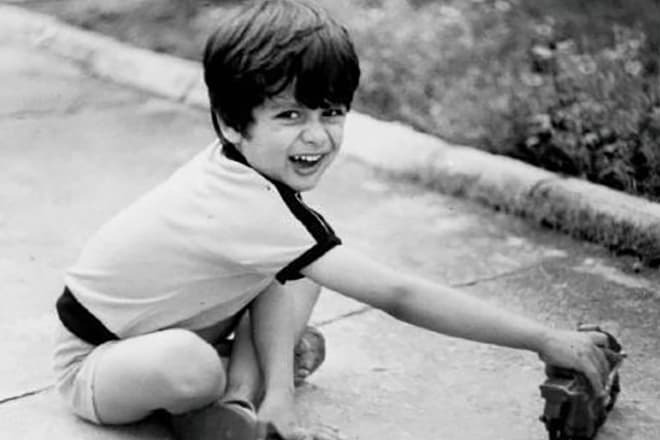 Children of star parents often follow in their footsteps, and Shahid Kapoor was not an exception. The family is closely connected to cinematography: the father, Pankaj Kapur, starred in movies and worked as a director, and the mother, Neelima Azeem, was a popular actress and talented dancer. Unfortunately, the parents split up when the boy was three. Pankaj moved to Bombay, and the mother and her son stayed in Delhi where Kapoor completed four years of school. Later on, Neelima and Shahid moved to Mumbai (former Bombay) as well, and the boy graduated from school in a new place. Considering that the parents’ lives were devoted to cinematography, it is natural their son chose the same career. After school, Shahid studied art in a college for a year and then learned choreography in a dance institute. Thanks to his fascinating plasticity, the young man entered the world of movies: in 1999, he was invited to Taal (Rhythm) as a dancer. The talented beginning actor was determined to build a movie career. Once, Kapoor told journalists he could not decide what exactly he would like to do: camera work, directing, or acting. The problem was solved suddenly: Shahid’s friend offered him to audition for an ad. Talented and flamboyant, Kapoor caught the attention of the crew; two days later, the young man was invited to the shooting of a Pepsi ad. He had the chance to work with Shah Rukh Khan, Rani Mukerji, and Kajol. Due to that video, Shahid made sure his choice was right. At that time, he worked in a dance academy. The young man took up acting classes. The first years were not marked with significant roles: the beginner was invited to ads and music videos. Kapoor tried himself as an assistant director and learned the peculiarities of movie production inside. In 2003, Kapoor debuted in the youth comedy Ishq Vishk (Love Romance). The audience liked the movie, and the actor was a success; he got his first fans. Directors noticed him as well. According to Manikchand Filmfare Awards, the actor became the best debutant; the project was included in the top movies of the year. As soon as Shahid finished shooting, the company TIPS offered him a contract: it was a great portion of luck. Soon, Shahid Kapoor participated in new projects: in 2004, the thriller Fida (Infatuated) and the melodrama Dil Maange More (The Heart Wants More) came out. The next year, the actor was nominated for the best actor for the movie Shikhar (Summit). 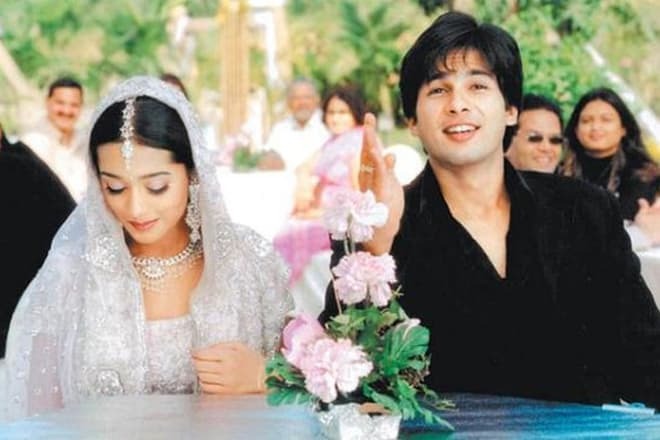 2006 brought the role that many critics consider the best work in the actor’s filmography: Kapoor took part in Vivah (Marriage). 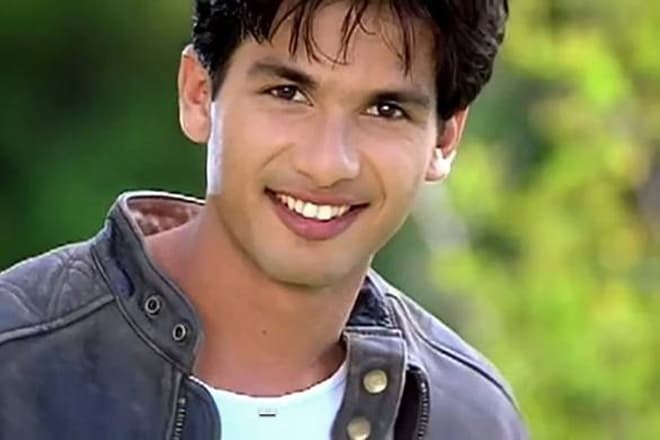 At that period, Shahid toured with other Bollywood actors for the first time. The next project was less successful: the comedy Fool N Final flopped, and movie experts severely criticized Kapoor’s acting. The 2007 comedy melodrama Jab We Met (When We Met) rehabilitated the actor and won several prestigious awards. In 2010, Kapoor personified a teacher in the movie Paathshaala (Get Educated). The same year, the movies Badmaash Company (Bad Company) and Chance Pe Dance (Dance for a Chance). Unfortunately, movie lovers did not appreciate the latter, and the project flopped. By now, Shahid Kapoor can boast more than 20 roles in movies. The 2011 drama Mausam (Season) was highly appreciated by critics and fans. Sonam Kapoor and Anupam Kher co-starred with the actor in this project. In 2014, the drama Haider based on Shakespeare’s Hamlet was released. Kapoor got the lead part and received the Filmfare Award for Best Actor. In 2015, the star’s fans enjoyed Shahid Kapoor’s acting in the movie Shaandaar (Magnificent). Shahid Kapoor’s personal life is as successful as his career. It was not the first relationship that made him happy, though. The beautiful actress Kareena Kapoor became the man’s first girlfriend. Their romance lasted for three years, and the couple split up in 2007. Neither Shahid nor Kareena made any comments on the reasons for their break-up. Several years later, in 2015, the actor married Mira Rajput. Despite the age difference (Mira is 13 years younger than Shahid), this marriage seems to be happy. In 2016, Mira gave birth to the daughter Misha. The girl was a premature baby, and the young parents worried about her. Luckily, Misha is healthy today. Her name is composed of the first syllables in the parents’ names. The happy father, Shahid Kapoor often posts the photos with his daughter on his Instagram page. Nowadays, the actor continues to appear in movies. In 2018, two new movies with Shahid Kapoor, Welcome to New York and Batti Gul Meter Chalu (Lights Off), came out. The actor’s fans are looking forward to his new roles.